Kiwi coffee?? Not sure that would work but I bet my oldest son would like to find out!! A purse should never, ever be on the ground. You rocked your words lady! Excellent use of your words. 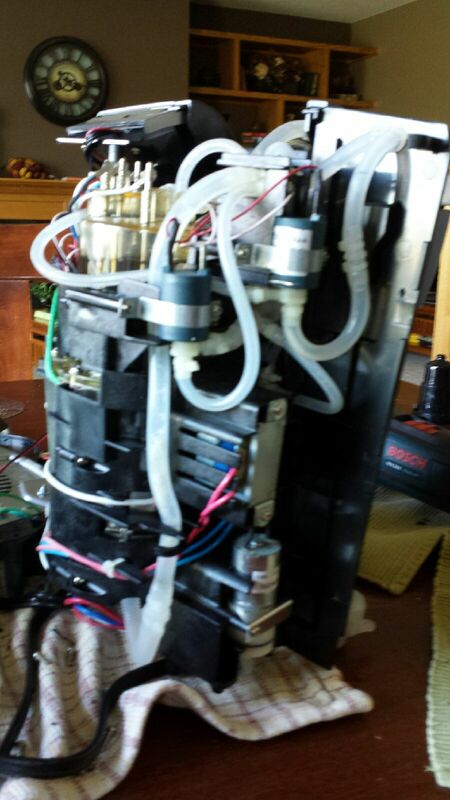 I appreciate you showing me the inside of a Keurig. I’m now even more in awe of the amazing piece of equipment. Will admit… when I first read the title, I thought you’d lost your mind. I was anticipating a recipe for Kiwi Pumpkin Coffee, and my tummy was less than excited! I hope your caffeine situation is righted now. I’m the same as you. I have a mental addiction to coffee/caffeine. It has no physical impact. I can drink two pots of coffee and go to sleep immediately. I’m addicted to Diet Coke. I actually get headaches without it, but my “I write and read better drink” is the dragon fruit powder, walmart generic brand of Crystal Light. It would be coffee, and i love the taste of coffee, but for whatever reason, too much coffee makes me tired and nauseous. I blame old age, and that’s just ironically sad in many ways. ERMGGOD – the dragon fruit powder. YUM. Mix that with some diet sierra mist….omg sooooo good. I wish I liked coffee….it is so much cheaper…but yucky. YUCKY. I hate it! The picture was actually from my neighbor (used with her permission of course). Have a wonderful day! Ermahgerd, thank you for the kind words. Honestly, I wouldn’t have known what Burberry was either, if not for my knockoff I got at Goodwill. It only cost $3. I’m good. lol I honestly just looked around the room to get words…..and you used them awesomely! So with that, I’m out now….gotta go to Starbucks for my pumpkin spice frappe fix! No! Just say no to pumpkin spice! Just kidding – but I will leave it all to you. I don’t even really like pumpkin pie. I do like pumpkin muffins tho…..
I’m off to clean the third house of the day and taking my Diet Coke with me! Gotta do what a girl’s gotta do…. What a great job tying those words together. YES, I do know what a Burberry costs – oh DEAR! Thanks!!! Hope you have a great day – do you get to enjoy a Burberry!? Love Burberry. HATE having my morning coffee routine disrupted. NEED COFFEE. I may have to check out Burberry! I actually hate coffee so this was part fiction – the picture was from my neighbor – but I like my morning tea or soda!!! I haven’t seen the last few seasons but I’m one who reads all of the show synopsis so I know how it ends. I’ll still check it out as it becomes available for free somewhere!!! No HBO here – booooo! Game of Thrones is a hard one to wait for too!